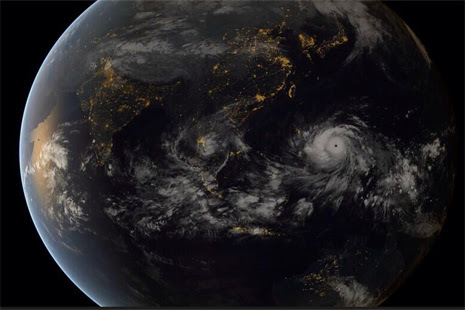 Josie Hagen Ministries: Urgent Prayer Call for the Philippines, Japan and Vietnam! Urgent Prayer Call for the Philippines, Japan and Vietnam! Before anyone chooses for or against the mark of the beast, God, through His Remnant Church on earth will send a final message to the world. 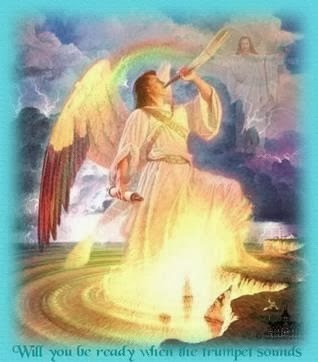 This message contained in the Three Angel's messages of Revelation 14 is God's last call of Mercy to The World. A National Urgent call to pray for the nation of the Philippines being hit by a deadly Typhoon, Lord help and rescue the people from destruction. It was a scenario all too familiar to Yoshiko and her countrymen. Strung out like a levee alongside Asia's distended midriff, Japan faces the full wrath of the vast and mercurial North Pacific Ocean. The wrath of God is being revealed from heaven against all the godlessness and wickedness of people, who suppress the truth by their wickedness, since what may be known about God is plain to them, because God has made it plain to them. For since the creation of the world God’s invisible qualities — his eternal power and divine nature — have been clearly seen, being understood from what has been made, so that people are without excuse. For although they knew God, they neither glorified him as God nor gave thanks to him, but their thinking became futile and their foolish hearts were darkened. Although they claimed to be wise, they became fools and exchanged the glory of the immortal God for images made to look like a mortal human being and birds and animals and reptiles. Therefore God gave them over in the sinful desires of their hearts to sexual impurity for the degrading of their bodies with one another. They exchanged the truth about God for a lie, and worshiped and served created things rather than the Creator — who is forever praised. Amen. 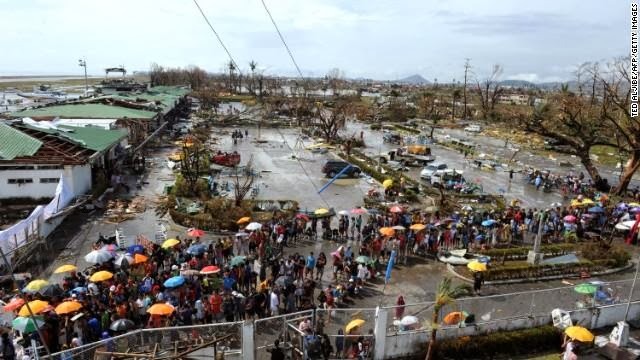 One of the most powerful typhoons in history is believed to have killed hundreds of people in the Philippines, with a UN disaster official Saturday comparing the destruction caused by towering waves and savage winds to the 2004 Indian Ocean tsunami. 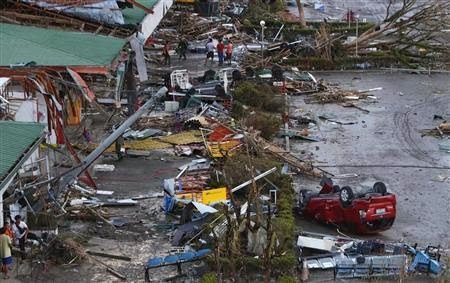 Thousands of soldiers and relief workers were battling to reach communities flattened Super Typhoon Haiyan, with some of the worst-hit areas yet to be contacted Saturday night. The storm ripped into the eastern islands of Leyte and Samar on Friday morning with sustained winds of around 315 kilometres (195 miles) per hour, generating storm surges that saw waves three metres (10 feet) high swamp coastal towns. "This is destruction on a massive scale. There are cars thrown like tumbleweed and the streets are strewn with debris," said Sebastian Rhodes Stampa, the head of a United Nations disaster assessment coordination team – read more in link below. Marvin Isanan said three of his daughters ages 8, 13 and 15 were swept from his arms by the storm surge. He and his wife, Loretta Isanan, had found the bodies of the two younger children. People queue up to receive relief goods being distributed at Tacloban's airport on November 10, 2013. 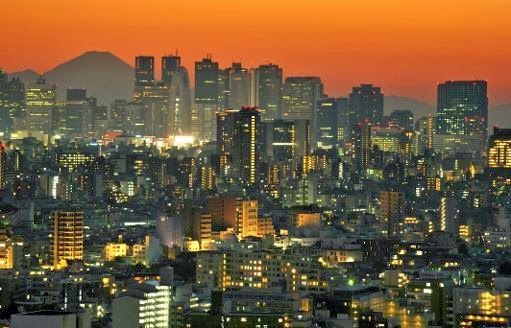 Japan is concerned and is warning that maybe there will be another massive earthquake and volcanic eruptions after the April 7th earthquake in Japan ! 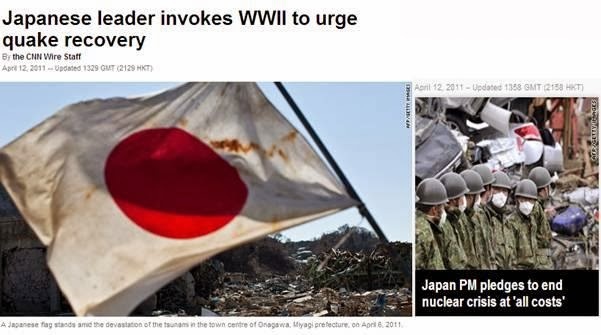 I just in my letter on the 7th of April 2011 have written that the Nuclear Holocaust has already begun and that many people don’t know it yet or understand it, nor (want to) see it! Let’s keep standing together for Japan in prayer! 10 November 2013 - Tokyo (AFP) - A 5.5-magnitude earthquake hit eastern Japan on Sunday, rocking buildings in Tokyo, seismologists said. The quake struck at 7:37 am (2237 GMT Saturday), in Ibaraki prefecture, north of the capital, at a depth of 59 kilometres (37 miles), the US Geological Survey said. The crippled Fukushima nuclear power plant was shaken by the quake but there were no abnormalities reported, the plant's operator said – read more in link below. “And I will heap disasters upon them; I will spend my arrows on them; they shall be wasted with hunger, and devoured by pestilence, bitter destruction”. We need to keep standing urgently in the gap for the nation and the peoples of Japan. We need to see the Judgment of God break of the nation, to release Grace and Gods Mercy and Forgiveness, by the Power of the Cross, and by the Blood of the Lamb. This nation O Lord needs you, it is urgent Lord. We stand for the Japanese people. Lord in your mercy, remember them. They do not know you. Just look at the famine that has struck the world over the past 30 years. Thousands die every day of starvation. Global starvation is spreading and increasing causing 1 Billion people to go hungry around the world. Add to that the failed crops throughout the world because of extreme weather, and you have a worldwide shortage of food on it's way. But you must not eat from the tree of the knowledge of good and evil, for when you eat from it you will certainly die..
Lord we pray forgive this Nation of Japan from forsaking you and worshipping foreign gods. The nature gods. The idolatry of the sun god worship, even hidden within their flag. It is the worship of Baal, the sun god Ra- of fire, rain, storm and winds. Father we ask You in the Name of Jesus, forgive them, as they know not what they do! I am asking out of the ministry all co-workers and intercessors from the ministry, and the Church, to pray and intercede for the Philippines, Japan and Vietnam, To spiritually wage war for the Nations being attacked and targeted by the deadly Typhoon , Vietnam is next , let us pray it does not go the Japans Fukushima on the 11th this month. Are the nations angry today? Yes, we have uprisings, conflicts and wars All Over the earth. And what about man destroying the earth well all throughout history we have seen this and today with all the modern technology yes they can and are! Amaterasu is known by the Shinto belief as the sun goddess, although her influence extends much beyond that, as one of the most important kami in all of Shinto faith. Amaterasu's disagreements with her brother led to the difference between day and night. Although they were born at the same time, once they were separated, the moon and the sun were never up at the same time. Amaterasu rules over heaven and the sky and is one of the oldest gods to be celebrated in Japan. Susanoo is the Japanese god of the sea, who also rules over the domain of storms. Susanoo is Amaterasu's brother, who was banished from heaven after a disagreement with his sister. Susanoo is clever and more of a trickster than his sister, which eventually caused a rift between them. This ostracism caused Susanoo to go on a journey to battle against an ancient serpent with eight heads. This journey became the main legend associated with Susanoo, when he defeated the serpent using his father's sword. If my people, which are called by my name, shall humble themselves, and pray, and seek my face, and turn from their wicked ways; then will I hear from heaven, and will forgive their sin, and will heal their land. Now mine eyes shall be open, and mine ears attentive unto the prayer that is made in this place. The LORD shall send the rod of thy strength out of Zion: Rule thou in the midst of thine enemies. Thy people shall be willing in the day of thy power. We have to join ranks, and rise up powerfully, in one accord, in prayer, fasting and intercession for JAPAN So that the Storms and winds man made instruments will not target the nuclear plants in Japan to poison the oceans. Therefore this is what the LORD Almighty, the God of Israel, says: "See, I will make this people eat bitter food and drink poisoned water. Fear regarding nuclear plant; Fight against nuclear disaster. ** At this moment messages are coming in again that possibly another big earthquake, with or without tsunami, is coming in the next few days. Be Alert! And there shall be signs in the sun, and in the moon, and in the stars; and upon the earth distress of nations, with perplexity; the sea and the waves roaring; Men's hearts failing them for fear, and for looking after those things which are coming on the earth: for the powers of heaven shall be shaken. And then shall they see the Son of man coming in a cloud with power and great glory. And when these things begin to come to pass, then look up, and lift up your heads; for your redemption drawnet nigh. For if the trumpet gives an uncertain sound, who shall prepare himself to the battle? They have blown the trumpet, even to make all ready; but none goes to the battle: for my wrath is upon all the multitude thereof. It is a very serious and dangerous thing to reject our Creator. 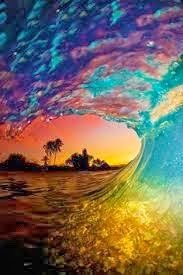 The judgment of God will come, and all sin shall have a great consequence. Every False Cult and false religion demands human offerings, it will demand lives! It came to pass also in the twelfth year, in the fifteenth day of the month, that the word of the LORD came unto me, saying, Son of man, wail for the multitude of Egypt, and cast them down, even her, and the daughters of the famous nations, unto the nether parts of the earth, with them that go down into the pit. Whom dost thou pass in beauty? go down, and be thou laid with the uncircumcised. 20They shall fall in the midst of them that are slain by the sword: she is delivered to the sword: draw her and all her multitudes. The strong among the mighty shall speak to him out of the midst of hell with them that help him: they are gone down, they lie uncircumcised, slain by the sword. How do we do this than you might ask yourself? Call Christians together the next days, today, tomorrow and so on, gather the Church members, call for the elders, prayer meetings, come together with friends, neighbours, acquaintances, who can join in prayer, so we can stand as one in the Spirit! Gathered together and in one accord! For more end time signs and even more evidence that we are living in the last days, please see End of World Signs in The Bible. So likewise ye, when ye shall see all these things, know that it is near, even at the doors. Verily I say unto you, this generation shall not pass, Till all these things be fulfilled. "Till all these things be fulfilled"
This "Everlasting Gospel" is the Full Gospel message that God's Remnant Church is proclaming to the world. God will give power to this final message to the wordl with His Holy Spirit and many hearts will be convicted of the truth and will come out of Babylon." Amen "Come Lord Jesus Come"
Japan raises the nuclear crisis to the highest level the same as Chernobyl. Enemies of the Cross of Christ!